Flappy Bird gathered insane interest over the past few days. 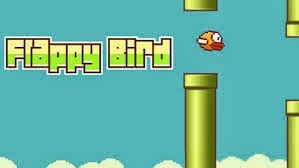 Initially developed in 2013, Flappy Bird has become one of the most popular titles in both Android Play Store and Apple App Store, generating millions of downloads. Its creator – Dong Nguyen – even promised Windows Phone port is coming too. And then, just when we though the free game is certain to break records, the developer decided to remove Flappy Bird from all stores. Until today the reasons were unclear, but the speculations went crazy – from death threats to patent issues and lawsuits. Apparently the reason is much simpler than all crazy stuff popping online. Nintendo went on record, saying that it has nothing to do with the removal of the game as speculations had it. The rumored copyright infringement obviously wasn’t the reason why Dong Nguyen decided to bring down the title. Instead the author himself confirmed that he decided to remove Flappy Bird because it was very addictive and has troubled lots of people. This was not his intention, as the game was designed to be played for fun and relaxation. Nguyen thinks the game has become a problem for too many people and even changed his life. Even though the app brings him an estimated $50,000 per day from ad revenue, he couldn’t take the pressure, couldn’t sleep and even got off the internet for a few days. Dong Nguyen now plans to focus on other projects. Flappy Bird may be gone for good, but its ad revenue money won’t stop for a long time, so at least he wouldn’t have to worry about cash any time soon.